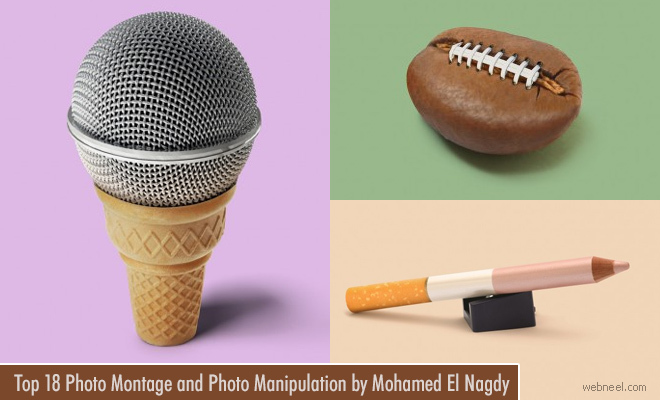 Checkout the awesome photo montage created by Mohamed El Nagdy using Adobe Creative Suite Apps. He graduated fromBachelor of Fine Arts with specialization in graphic design. The photo manipulation works of everyday objects in a funny way is very interesting and inspirational. Mohamed El Nagdy is a graphic desginer from Dubai and he has worked at varied places. Photomontage works of everyday objects have been extensively used in advertising campaigns and other environments. A photomontage is a collection of photographs which are blended and twisted together to form an artistic image.